Our Manager/Valuer Derek JB Reid has worked in the area for more than 20 years and has dealt with the sale of thousands of properties. He is a fully qualified Fellow of the National Association of Estate Agents and in 2018 completed the Chartered Institute of Housing Level 3 Certificate in Letting and Managing Residential Property. Derek will provide a free, no obligation, valuation and offer pre sales advice. When proceeding with the sale he will ensure your property is quickly brought to the market. He will advise on the best strategy to maximise interest and achieve the best price. We will prepare a bespoke four or eight page schedule highlighting the key attributes and maximising the sales potential of your home. All our schedules feature a floorplan. We use the latest digital technology including specialist camera equipment to show your property in the best light. We will appoint a dedicated negotiator to handle your sale and guide you through the process. Their proactive, enthusiastic approach aims to generate early interest. They will provide you with immediate feedback and advice throughout your sale. All our homes are fully marketed to local and national markets to create the maximum interest. 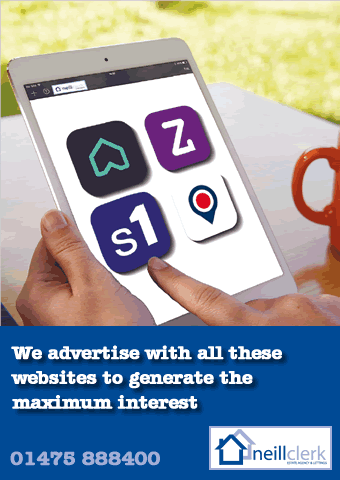 Our comprehensive marketing package includes: online listing and promotion with national websites including: Rightmove, Zoopla, S1 Homes and Onthemarket. We aim to reach as many potential buyers as possible both locally and nationally. Our busy high street location ensures your property is fully promoted through our window display. “For sale” viewing appointments can be booked 7 days a week until 11pm. We provide an optional accompanied viewing service. If you’re looking to sell your property, please complete the form below and we’ll get back to you – or you can contact us by other means.